Superman Shield Fleece ThrowTake your place under the watchful eye of your favorite crimefighter! Colorful 100% polyester.Throw features a stunning emblem design and stitched edging. Machine washable. 50" x 60". Enjoy this Character Fleece Blanket by The Northwest Company for that warm soft comfort that you need while lounging around. Each blanket measures 45-inches by 60 inches making it the perfect size blanket. It is machine washable making it easy to clean after everyday use. Decorated with vibrant colors to give you the real feeling of your favorite characters. Makes for an ideal gift, 100% polyester, made in China. 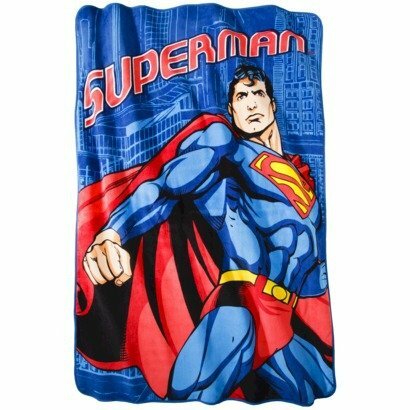 Superman Micro Raschel Blanket Twin Size Oversized 69" x 90"
Your little hero will feel like he can save the world wrapped in this ultra soft, plush blanket! 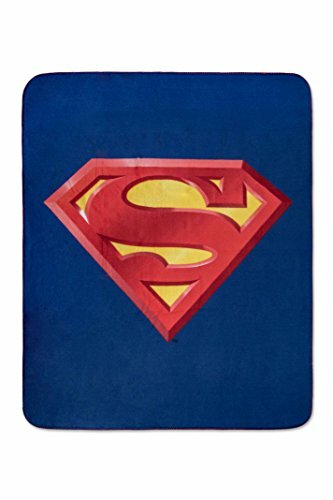 Defend against all villains with this Warner Bros.' Superman "Metropolis Shield" 3D Pillow & Throw Set by The Northwest Company. The 3D shield-shaped super soft pillow looks just like your favorite superhero's recognizable symbol! 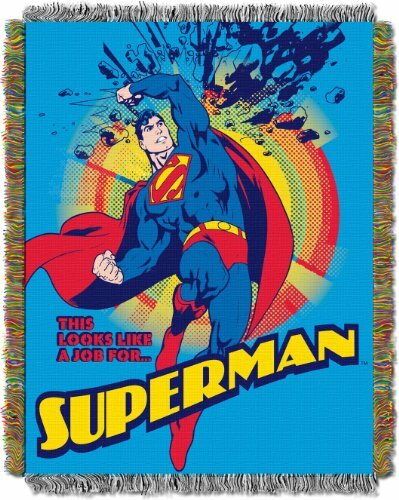 The colorful 40"x 50" polyester fleece throw that comes with your Superman pillow is decorated to match! A convenient 7" tall pocket is located on the back of the 14"x 14" pillow, which makes it incredibly easy to tote the throw & other small belongings around with you! The 100% polyester fleece throw is machine washable and the character pillow is spot clean only. 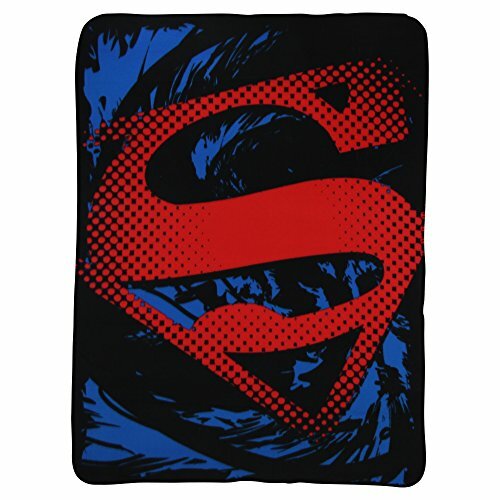 Brand new officially licensed Superman Super Soft Fleece Throw Blanket. Officially licensed Art work. Vivid design and colors. Blanket is super soft, warm, and durable. 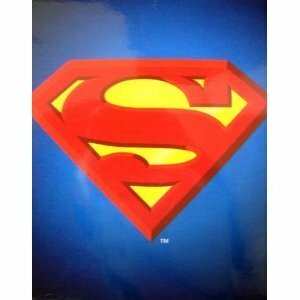 Great gift for the Superman fan in your life. Celebrate your favorite superhero in coordinated style using this DC Comics Mug & Snug set. You will find that this travel mug and fleece throw have many uses. Cuddle up in front of the TV to watch your favorite Superman movie while sipping a cool beverage, or pack a picnic and head to the park for a relaxing afternoon outdoors. 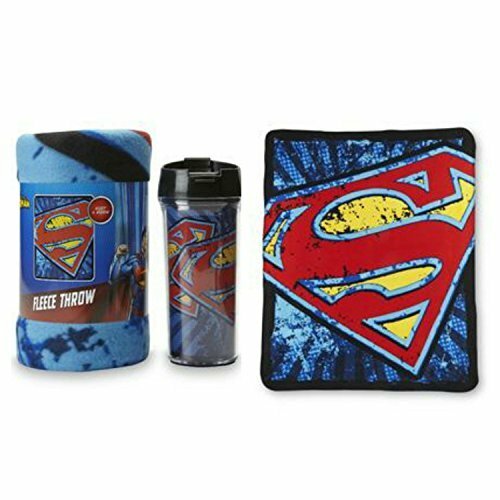 The 16-ounce travel mug and fleece throw are decorated with a distressed Superman logo. What a cool gift for the comic collector in your life. Set: Travel mug and throwMug: Screw lid Flip-up top holds up to 16 ounces.Not for use in microwave. This super soft throw measures 50"W x 60"L and is 100% polyester.Hand wash mug, machine wash throw. Tapestries are beautiful throws that are detailed and colorful. These make a truly special gift for yourself or someone you know. Heirloom quality throws are a Tribute to American Craftsmanship. These throws can be used on a picnic, in the bedroom or cuddle under it in the den while watching your favorite show or reading a book. Use it as a room accent, bed covering, throw blanket or wall hanging. Features licensed designs and measures 48-inch-by-60-inch with decorative fringes. 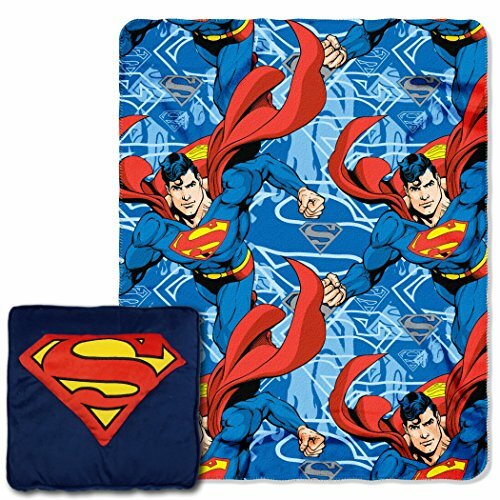 Looking for more Superman Fleece similar ideas? Try to explore these searches: Farm Animals Gift, Exotic Mango Sugar Scrub, and Steel Bundt Pan. 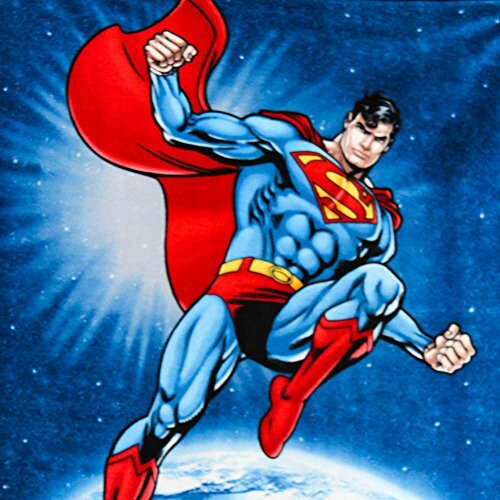 Look at latest related video about Superman Fleece. Shopwizion.com is the smartest way for online shopping: compare prices of leading online shops for best deals around the web. 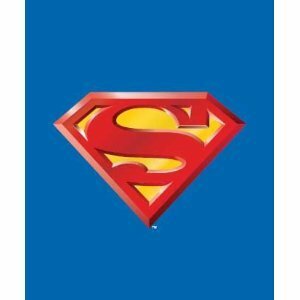 Don't miss TOP Superman Fleece deals, updated daily.